Happy! 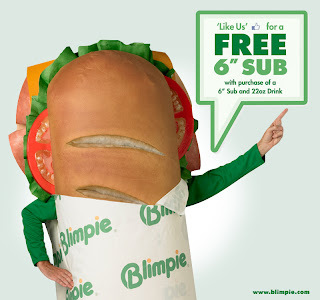 節約生活 in アメリカ: Blimpie: Free 6" Sub with Purchase of 6" Sub and 22 oz Drink Coupon! Blimpie: Free 6" Sub with Purchase of 6" Sub and 22 oz Drink Coupon!